The bride of Bel-Air! 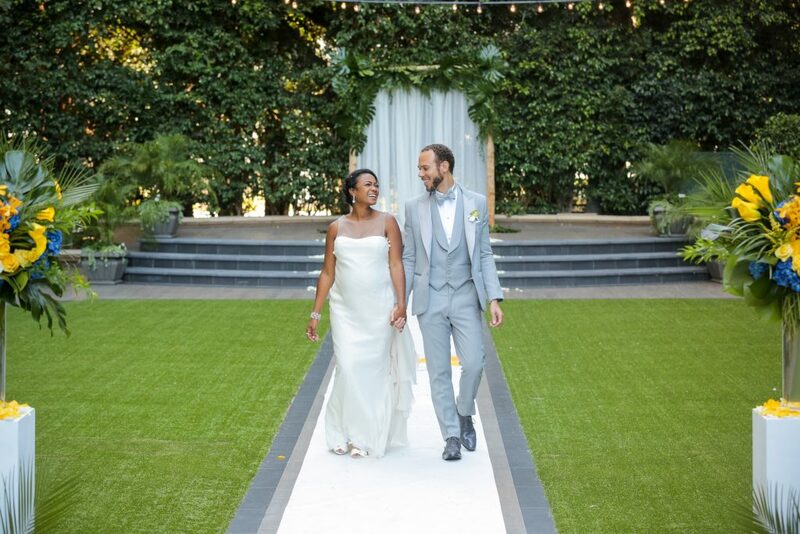 Fresh Prince of Bel-Air alum Tatyana Ali married Stanford professor Dr. Vaughn Rasberry in Beverly Hills on Sunday, July 17 — and some of her famous, former costars were there to witness the gorgeous affair. Wedding planner Michael Russo shared some new details with The Knot on Monday, July 18, including a photo of the beautiful bride with her ‘90s colleagues. Close to 120 guests attended Ali’s wedding at the Four Seasons Beverly Hills, including Ali’s on-screen sibling Alfonso Ribeiro (Carlton Banks) and his wife, Angela Unkrich. Karyn Parsons, who played Ali’s ditzy, on-screen big sister, Hilary Banks, joined the festivities along with Joseph Marcell, who portrayed the family’s stiff-but-beloved butler, Geoffrey. Ali, who’s currently expecting a baby, looked resplendent in an off-white, silk gown by Amsale. 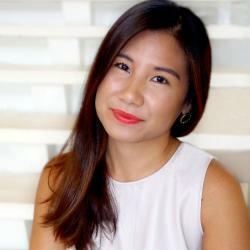 The bride recently opened up to The Knot in an exclusive interview about planning her wedding during her pregnancy, which she said she was fully embracing at the time. 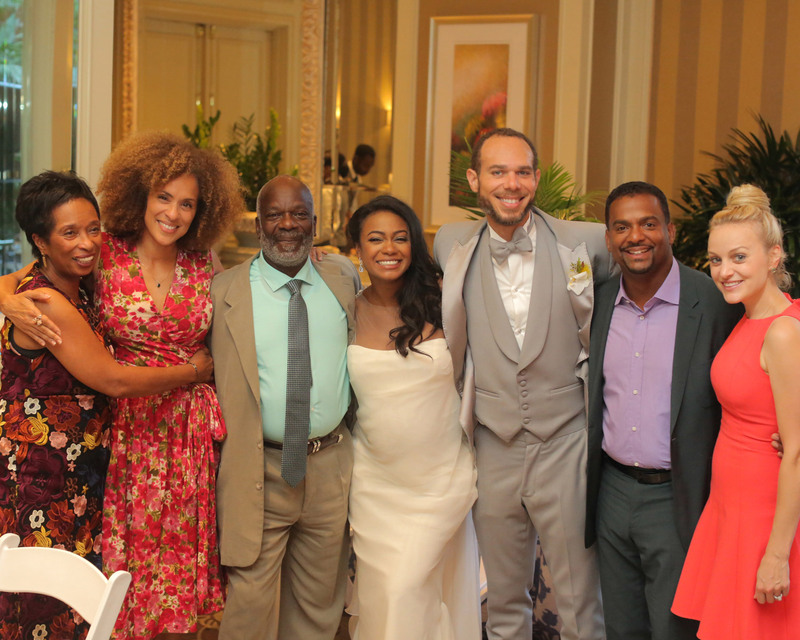 Be the first to comment on "Tatyana Ali’s Wedding Was a ‘Fresh Prince of Bel-Air’ Reunion: Photo"